Well, while there was just one new phone from LG at this year’s CES, their TV division has been working overtime – they showed their 84″ 3D Ultra Definition TV, an 55″ OLED TV, 3D TVs with and without glasses, 2D-to-3D conversion, some services and a new chipset to power their Google TVs. The most attention-grabbing thing LG showed, however, was the Magic Remote – a Wiimote-like device that lets you control your TV and play Fruit Ninja too. Okay, that’s a lot of ground to cover, so let’s start. 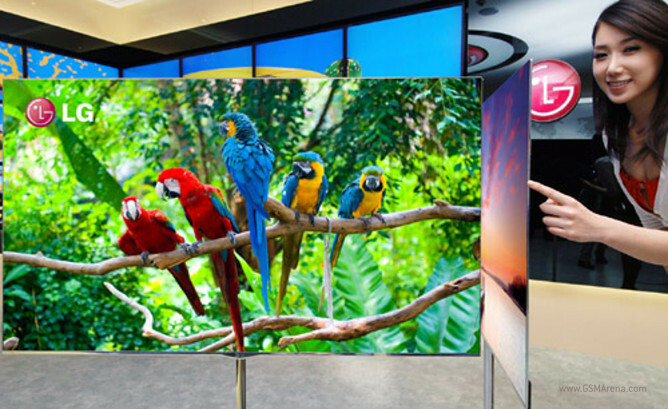 We’ve already seen the 84″ monster of a TV with its glasses-free 3D screen with 3840 x 2160 resolution. It’s a Smart TV, so it has Internet connectivity, features LG’s 2D-to-3D conversion (which spices up two-dimensional footage on the fly) and supports the Magic Remote. The Magic Remote has several modes of operation. It has regular buttons so you can work it as a normal remote. If you’re browsing the web, you can use the wheel at the center of the remote to scroll through pages easily. To move the cursor around the page, you just aim the remote at the TV and move it like you would a laser pointer. This pointing function works for navigating the TV’s interface too, it’s not just for web pages. Finally, the remote allows for voice input, which really speeds up text entry (have you tried typing with a remote?). There will be a version of the remote without voice input too (presumably for lower-end devices). Oh, and we mentioned Fruit Ninja, right? LG also showed off the luscious 55″ OLED 3D TV. Get this – it’s only 4mm thick and weighs just 7.5kg! 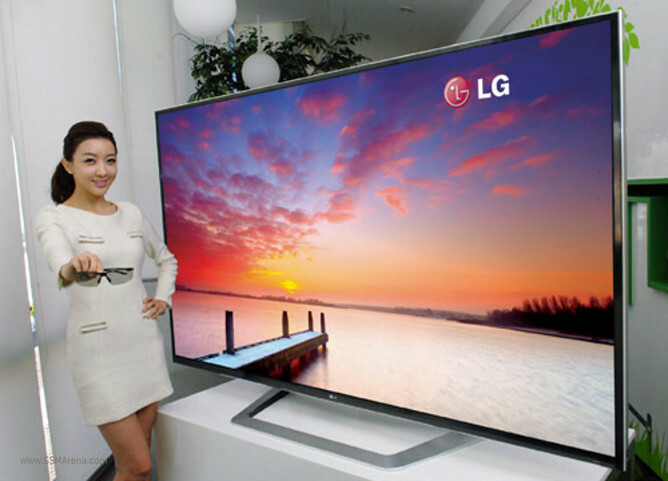 Anyway, LG will be adding WiDi to their TVs – that’s a wireless way to stream uncompressed HD video. This will make streaming a movie from your new LG X-Note Z330 ultrabook a cinch. LG’s TVs will also enjoy 3D Zone (which offers access to a collection of 3D movies and TV shows) and K-Pop Zone (K-Pop is a musical genre popular in Korea). Moving on, they’ve improved their automatic 2D-to-3D conversion and added a 3D depth control feature plus 3D sound zooming (nope, no idea what that is). LG have improved their 3D glasses too, by making them 20%-25% lighter. They are also working on glasses-free 3D TVs with new models coming soon (LG was mum on details though). Finally, LG announced the L9 line of home-baked chipsets, which will be used in the upcoming new series of Google TVs by LG. They use two ARM processor cores and quad-core GPUs for the extra power that LG needed to make all the new features work.